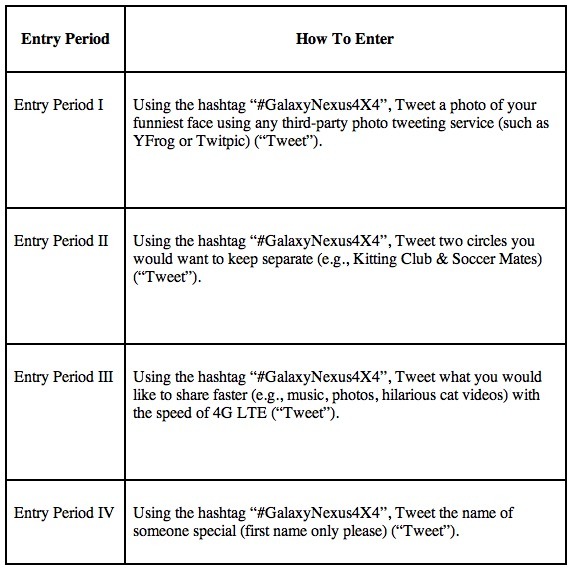 Starting tomorrow at 10AM ET, Verizon will launch a “4×4” Twitter contest that will reward 14 (or is it 16?) lucky souls with brand new Galaxy Nexus devices. As the must-have Android device of the last year, you won’t want to miss out on this opportunity if you have yet to pick one up. 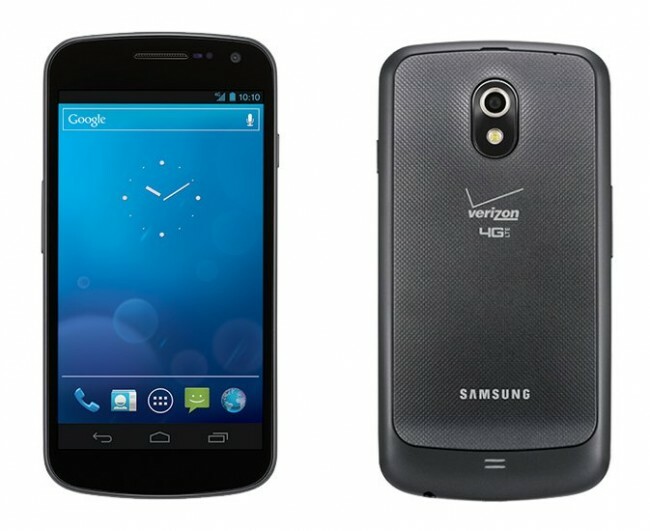 From the 24th (tomorrow morning) through the 27th, you will have multiple chances to take home a brand new G-Nex, however, VZW is going to make you work for it a bit. 1. Follow @VerizonWireless on Twitter. 2. Each day for the next 4 days, an entry period will be announced that runs from 10AM ET through 11:59PM ET. 4. You will need to complete each task depending on the day. 5. You can enter each entry period up to 10 times. 6. Winners will be picked and announced by January 31 – notified via DM on Twitter.